I first came across photographer Peter Sanders when I was in college studying photography. At this time I was only vaguely aware of his work photographing The Hajj Pilgrimage. Upon further research, I found that Peter Sanders started his photographic career in the 1960’s, taking photographs of the icons of that time. To name a few icons Sanders photographed: Jimmi Hendrix, Mohammed Ali, Bob Dylan. Sanders became interested in spirituality and religion and traveled to India and North Africa to gain further insight. He photographed The Hajj Pilgrimage at a time en very few professional photographers were allowed access to this Islamic sanctuary. A rare place to be photographed by anyone. Since then he has been granted special access to the holy cities of Mecca and Medina. He has traveled all around the globe to capture the beauty of the Islamic world. 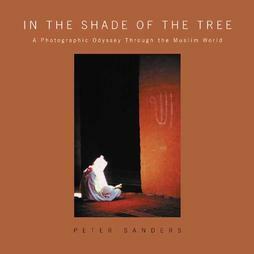 One off his books titled “In the shade of the tree” shows the 30 years of his travels and includes many beautiful and spiritual photographs. These photographs unveil the truth of the peaceful nature of ordinary human beings and not those of humans filled with hatred. These peaceful images are of great importance in a time like this were religion is used as an excuse for war. His most recent work exhibited (2007) at East London’s Rich Mix Gallery was titled “The Art of Integration” which is a collection of images highlighting that Islam has brought its cultural diversity to Britain for over a century and that there are British Muslims living peacefully and in unity with British people of other faiths and backgrounds. Photography is used here in a positive manner. Sanders’ work makes me want to go out there into the world and see this for myself. Very Inspirational. Kenny the white tiger was a victim of selective inbreeding. 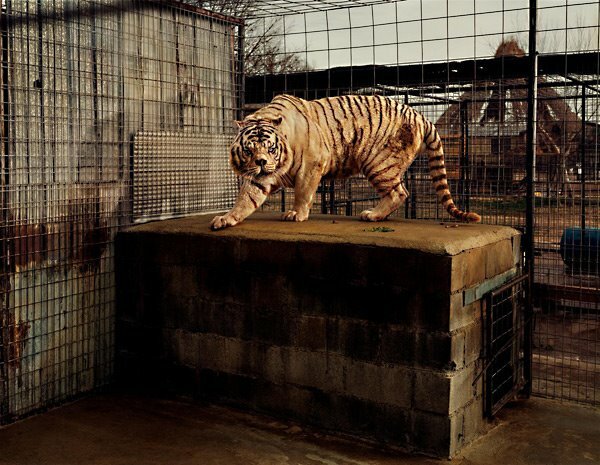 Breeders would want their tiger’s to have white fur and blue eyes and to achieve this they would attempt a breeding program known as selective inbreeding, however this process is not always successful. The actions of these breeders lead Kenny to be born mentally challenged which in turn lead to many limitations. Kenny’s siblings were born with knocked knees and yellow fur which was considered an unsuccessful breed and therefore undesirable. I came across this photograph of Kenny taken by Taryn Simon at the Deutsche Borse Photography 2009 at the Photographers Gallery, and was really saddened as you can see he is suffering. Taryn Simon’s photograph highlights the growing issue of what society is becoming today as it seems many people are more concerned with perfectionism and creating what they perceive as the ideal ‘perfect image’. It could well be that this ‘perfect image’ starts with such notions as selective breeding of animals but one day can progress on to limitations on human breeding to selectively choose the ideal mate by looking at noticeable gene traits in order to create a perfect being. This photograph is one of many from a series titled “An American Index of the Hidden and Unfamiliar” which has photographs that show different issues in society, some of which can be considered as quite as controversial, however the aim of photographing these issues is to gain audience awareness of such realities in this world.